The style is Liberty, unquestionably. And in Florence is quite unusual. 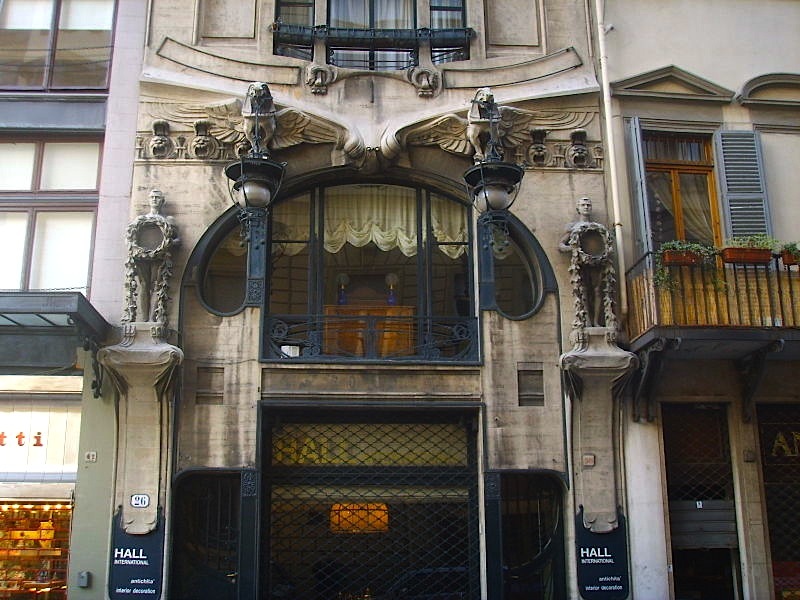 Despite the great success that this style had in Tuscany, the buildings belonging to Art Nouveau were almost totally destroyed during the first and the second world wars. This narrow and high palace is the only one still present in the historical centre of Florence. This is the masterpiece of Florentine architect Giovanni Michelazzi (and also was his home for a few time). And it's easy to see why: its verticality, the extraordinary mixture of artificial stone, steel and glass that characterizes the facade, and the eccentric decorations like the eagles and the two dragons. It was completed in 1911 and still remains the most important and fascinating testimony of Liberty in the city.